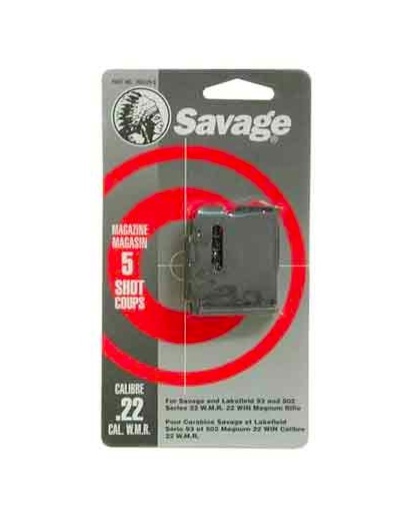 Metal five-round replacement magazines for all Savage 93-series .22 Magnum and .17 HMR rifles. Keep several loaded for continuous shooting or replace the one that mysteriously disappeared after your last outing. For Savage and Lakefield 93, 502, and 503 Series 22 W.M.R and 17 H.M.R.